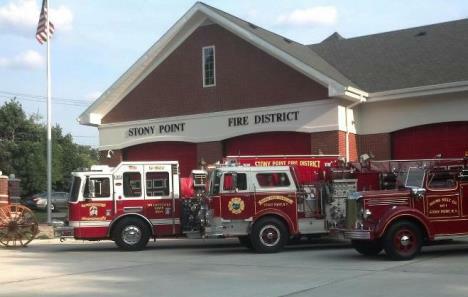 To honor our dedicated Volunteer Fire, Ambulance and Auxiliary Police members, the Town of Stony Point offers eligible volunteers a set of discounts at Stony Point Town facilities, amenities and offerings. Eligible volunteers are those members who are active and in good standing, including those recognized as life members of their respective organizations so long as such life members maintain Stony Point residency. Discounts shall be extended to spouses and minor children of eligible volunteers. Minor children shall be defined as children under eighteen (18) years of age that are residents of the Town. A minor child shall also include a child residing with an eligible volunteer where the eligible volunteer is the legal guardian of such child. The discounts may be offered as a family discount when multiple registrations are necessary or requested. Discounts will be taken from the total fee of multiple registrants unless specific discounts for multiple registrations are enumerated in Addendum A. All other discounts are offered per individual registrant. In order to be eligible for such discounts, the eligible volunteer must be present with the organization’s official valid, identification documentation designating said individual as an eligible volunteer of the organization at the time discount is to be applied or at time of registration. Spouses of eligible volunteers may also be eligible for the above discounts provided proper documentation and/or identification issued by an eligible organization is presented. Town Recreation Programs such as day trips, field trips and special events that require a fee are not subject to the discounts offered in this resolution.